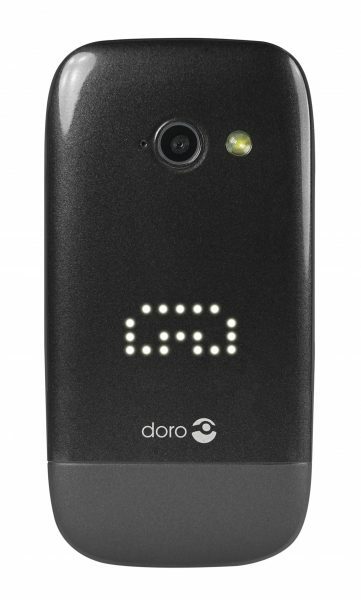 The Doro PhoneEasy 632 is a simple phone for people who want exactly that. However, it doesn’t mean this is a ‘dumb’ terminal, which does nothing more than make phone calls and perhaps send texts. The device comes with a camera, a GPS and compass feature to find where you are, or to get back to where you wanted (forgotten where you parked your car? ), and features such as weather updates and emails. It also comes with safety buttons, and the ability to remotely manage your content. And yes, it runs on 3G, so it won’t take ages to download any of that via the internet. All that comes in a clamshell design which reminds me of the early ‘smart’ phones, very much so the Sony Ericsson range. The dot matrix display on the outside is a great touch, and allows you to see notifications and time. And who can take the charm of a cradle away. It was something that was very common place among the phones in the older days, but as phones have become ‘smarter’, costs have been pushed lower, and we have had to give up such luxuries. Not so much with this. And don’t worry, you can still charge this with any micro-USB charger, so don’t worry if you forget your cradle at home or work. Speaking of forgetting your cradle, the best joy of such a phone is the battery life, promising you a staggering 380 hours of standby time. Roughly translated, you should be good for a few days, if not a week or so with this. Open the phone up and you are greeted with huge keys, buttons for camera and SMS, as well as the ability to turn silent directly. 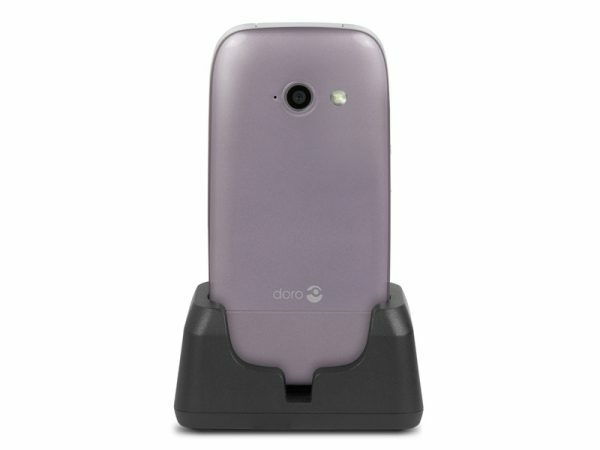 On top of usual features, Doro add the assistance button on the back, which makes this a particularly attractive phone for people who are vulnerable, due to age or health. A push of that button can help you send out messages to your 3 chosen contacts, and then it will go ringing them in order. A great service for anyone really. Another great feature is the ICE function, the ‘In case of emergency’ tab, which lets you fill in details on who to contact in case of emergency, as well as information about yourself such as allergies and blood tupe. And yes, it also comes with hearing aid compatibility in case that is what you want. It also points you towards various retailers wher you can buy this phone from. The device is just above the £100 mark, and while you may argue that it is a lot for a ‘dumb phone’, what you’re really paying for is the extra features of safety.